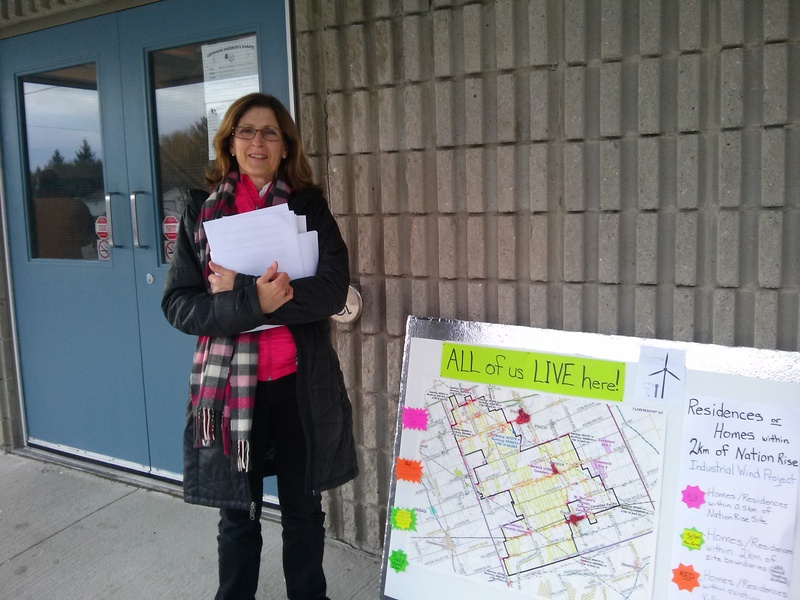 Homeowners in North Stormont stand to make a big sacrifice to “green” energy if the proposed “Nation Rise” wind power project is constructed, says Wind Concerns Ontario, a coalition of community groups and Ontario families. Take a look at this piece, written long before the K2 Wind in Huron County was allowed to site turbines close to and in some cases completely surrounding peoples’ homes. Some of these residents were fourth generation farmers. Some had enjoyed the safety and security of their homes for over 40 years. Despite information like this in the public domain, the Reeve and Councillors ushered in this severely distressing incursion of the most densely sited turbines in the largest wind power station in Ontario. Notice the connections being suggested by this writer to the Enron scandal. In Chapter 6, the author likens what is going on with this current ‘land grab’ to the what happened in England during the ‘Enclosure’. Enclosure. Enclosure (sometimes inclosure) was the legal process in England of consolidating (enclosing) small landholdings into larger farms. … The process of enclosure began to be a widespread feature of the English agricultural landscape during the 16th century. Why were turbines allowed to be sited in intense arrays/clusters surrounding peoples’ homes and neighbourhoods in rural Ontario? Why is this new government allowing the injustice to continue? Turbines must be turned off immediately due to known, documented, and on going health harm to citizens living nearby. Richard, the turbines will not be turned off just as the pharmaceutical industry will not stop making drugs that kill people. Same investors, same motives, and the rollover profits are just too good. Meanwhile, politicians can be voted in or voted out. Sommer, you better sit down! Some of the IWT’s are in a proposed local area distribution grid that has not been defined completely as yet. Once the grids are available they will be auctioned off like any other commodity. Not unlike the “Public Utility Commission” of old that were sold to Hydro One. To follow the proceedings subscribe to the IESO bulletins available from the website. The politicians that are not involved usually are not in office long. Also, the affected properties will be sequestered for generations holding or lowering their evaluations for future takeovers. Hope I have clarified some issues! Pessimism and powerlessness are not an option. Innocent peoples’ lives are being seriously impacted. This analogy simply does not work. First, pharmaceutical treatment is voluntarily, taken as a decision by a patient and their doctor. Exposure is not forced on people as wind turbines are. Second, there are in fact reporting and surveillance mechanisms for pharmaceuticals. Adverse effects/ reactions are reported. Warnings can be added, and in extreme cases, pharmaceuticals can be taken off the market. In contrast, warnings from Wind turbines have been ignored. Some would say they have been suppressed. The IESO is a not-for-profit corporate entity established in 1998 by the Electricity Act of Ontario. On January 1, 2015, through amendments to the Electricity Act, the IESO merged with the Ontario Power Authority (OPA) to bring together real-time operations of the electricity grid and long-term planning, competitive procurement and energy-efficiency programs. The IESO is governed by an independent Board of Directors, with a Chair and Directors appointed by the Government of Ontario. All fees and licences to operate are set by the Ontario Energy Board, and the IESO operates independently of all other participants in the electricity market. Is it time to get rid of the Chair and Directors?